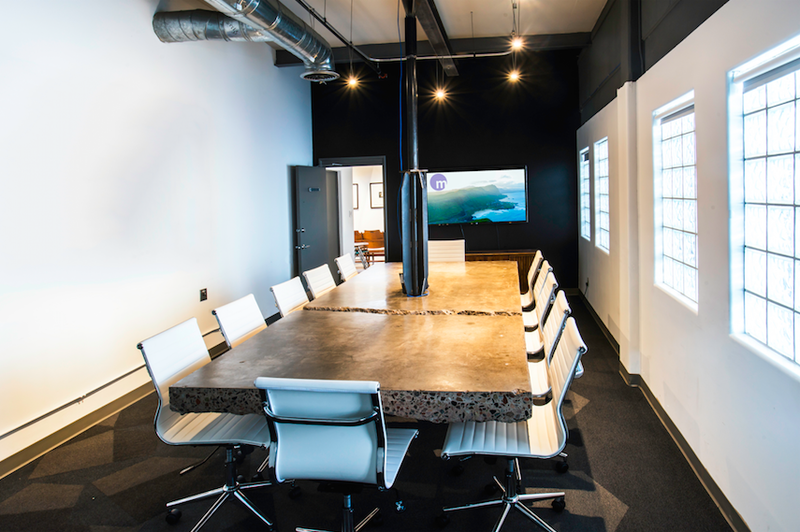 Of all the features huddled inside the unassuming monOrchid structure, its conference room is arguably one of the most intriguing, featuring the well-known “hangin conference table” constructed of concrete reclaimed from the flooring of the original 1937 structure. Grab cold brew from be Coffee + Food + Stuff before your meeting, or a craft cocktail during happy hour at the Dressing Room. For large groups or full day meetings, Conceptually Social, monOrchid's premier catering partner can provide a personalized menu to impress clients and make your day a little less stressful. When would you like to rent the conference room?